It’s finally here: the cover to book two in the Forbidden Lust series, Forbidden Love! Are you ready for it? Suzanne DeAngelo, a customer service representative for Lightning Mobile, a branch of the Stonewell Corps, is an edgy girl who will try anything once. When she expresses interest in Derrick, he decides to go along with it, but on two conditions: his shirt doesn’t come off, and she can only address him as Mr. White or Sir. One night in the throes of passion, Derrick loses himself…Will he admit his love for Suzanne or will he walk away and leave her broken? Aimee Shaye is a 21 year old self-published author who lives in New York. Her first novel, Destroyed, was released on October 31, 2014 (two months early) and is the first book in The Chronicles of the Seven Sons (CSS) series. She is currently working on an erotica trilogy (Each book will be released in between the books of CSS series). ***Warning*** Not appropriate for audiences 17 years of age and under. 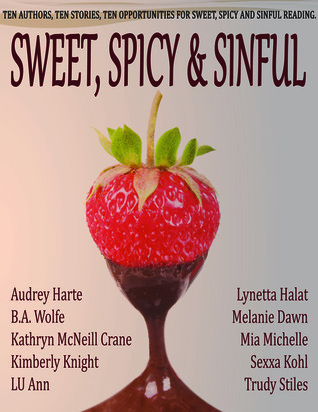 Ten authors come together to bring you stories full of romance, passion, love, angst, and hate… From sweet to spicy to downright sinful.